Stacey Siegert, Owner, has been working since 2000 in the entertainment world. Starting out as an actor, she earned a Theatre and Film degree from The University of Kansas and then made New York City her home for almost 5 years. Stacey understands actors. From what they go through in auditions to being on-set, she understands what their thought process is and all it takes to have the courage to pursue the craft of acting. While in NYC, she found she had a passion for the business side of the industry. She worked in the marketing department at The Blue Man Group, assisted actors as a Business Consultant at TVI Actors Studio, assisted in casting for Law & Order: SVU, and worked as a Manager in the Creative Division at Wilhelmina Models. Stacey’s career has spanned all aspects of the entertainment business. Shortly after returning home to KC in 2005, Stacey became a Sr. Broadcast Agent at Exposure Model & Talent Agency where she invested 7 years developing actors and booking talent. During her time at Exposure, she decided to branch off, creating a company where she went one step further in molding actors by providing workshops for actors taught by local industry professionals. She called this company, Actors with Moxie, LLC. 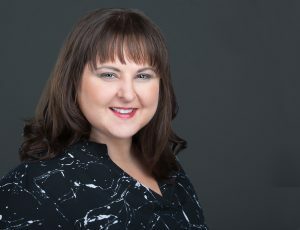 Since 2009, Stacey has been producing workshops and creating curriculum geared toward the business minded actor, essentially teaching them to consider and conduct themselves as a small business enterprise. Workshops have included such topics as Voice over: Another Outlet for Actors, The Producer Panel, Acting with a Teleprompter, Improvisation for the Actor, Stage Combat, Audition Technique with LA Casting Director, Acting for the Camera for Kids and Teens and many others. She is an adjunct professor at JCCC where she teaches The Business of Being an Actor. Being an agent is Stacey’s passion, and she is thrilled to be doing it full time. Natalie Pace, Office Assistant, has explored the entertainment industry her whole life. With amateur experience in film, photography, and modeling, and professional experience in theatre and event management, she realized her immense passion for creative arts. In college, Natalie discovered her interest in career and business development. Having previous office experience, the assistant position is the perfect fit to hone real industry skills and learn the talent agency business. Natalie graduated with honors from The University of Missouri with a Bachelor’s in Business Administration and a Bachelor’s in Hospitality Management, with a Human Resources Certificate. Erika Vallone, intern, is a third-year student at Avila University, in Kansas City, MO, who is seeking a bachelor’s degree in Communication with a focus in Advertising and Public Relations. 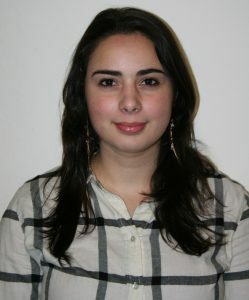 She is originally from Italy, has an international background and is able to speak fluently three different languages. At Moxie, she helps with social media strategies, assists to auditions and interacts with former talents, which gives her the opportunity to gain insights about the entertainment world. 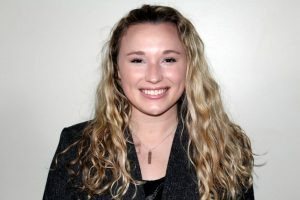 With a strong passion for advertising, social media, public relations and organization of events, she hopes to continue to improve her knowledge in those fields after her graduation in May 2020.